Since early 2008, as Headshift, we aimed to shift leading business minds to new ways of thinking about the opportunities social technologies presented. That was our purpose. In our earlier days we saw ourselves as pioneers and leaders in the rapidly evolving social economy and its potential impact on business. Now we know that businesses have shifted, acknowledging that the digital economy is here to stay. What remains is how to benefit from it and the untapped potential ripple effects. To acknowledge these effects we changed our name in 2012 to focus on converting that potential into reality. We are now the Ripple Effect Group, Asia Pacific. As digital workplace designers, we will continue to strategically guide companies towards a digital advantage – that is the ripple effect! Anne is the Founder and Managing Director of Ripple Effect Group Asia Pacific. She specialises in the creation of innovative communication and learning networks with social technologies where her designs have been winning awards since 2006. She is also a founding member and part of the steering committee for the Digital Disruption Research Group at Sydney University Business School. She is a keynote speaker at conferences, both in Australia and internationally, appearing in the APAC Top 10 eLearning Movers & Shakers since 2014. Her papers are published in several textbooks and international journals. In addition, Anne is a sought after reviewer of academic journals that specialise in enterprise social and communication technologies. She uses her research into the communication aspects of social networks to provide an informed backdrop to understanding how people are using new tools and changing traditional models of communication. She constantly challenges organisations to reframe their models of communication, service design, and workforce engagement. Her current research is investigating the digital capabilities in the future digital workplace and the intersection between people and technology. Anne’s qualifications include a PhD which explored the experiences of developing social networks through self-publishing technologies such as blogs; a MEd (Adult Ed), UTS; BEd (Adult Ed), UTS; Dip HRM, Monash University; Dip e-Learning, UTS; Cert IV TAA. She is also a Fellow with the Australian Institute of Training & Development. Anne has worked with Institute of Executive Coaching & Leadership, Royal Australasian College of Physicians, Government 2.0 Taskforce, Australia Post, Cochlear, Foxtel, SEEK, CSC Australia, Sydney Water, Queensland Rail, Telstra, Victorian Deaf Education Institute, National Judicial College of Australia, Australian Business Women’s Network, Creative Holidays, Philippine Airlines and IAG. Her award winning designs include: MentorNet was a finalist in the Forrester Groundswell awards in 2008 and won the LearnX Asia Pacific 2010 Best Mentoring Program. Her design for the Institute of Executive Coaching’s learning communities won the LearnX Asia Pacific 2010 award for Best use of Social Learning Tools. Most recently in 2017, together with the Institute of Executive Coaching and Learning they won the Australian Institute of Training and Development national award for Best Social/Collaborative Learning award and Highly Commended for Best Blended Learning Solution for the IECL Academy powered by Jive! Stephen has extensive commercial business experience having worked for both Qantas and British Airways in Australia and Europe. He was responsible for all sales and marketing activities for British Airways in Spain, Portugal, Gibraltar and Morocco, before returning to Australia to head up Qantas business development activities. In 2000 he co-founded and built a global technology business, EB2 International, that was acquired by Sabre Inc, Dallas in 2008. That proprietary technology continues to power major airlines around the world. Stephen’s other ventures include an airline digital technology and services business based in Hong Kong and Barcelona. Simon brings extensive technical experience to our projects through partnership with Litchfield Digital, a small team of some of the best software engineers and digital designers. 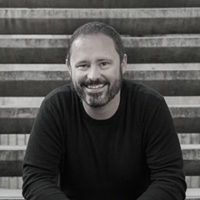 Simon has nearly 20 years experience in the field, and has co-founded and CTO’d a number of well-known internet businesses, including Totaltravel.com (acquired by Yahoo7), WeAreHunted.com (acquired by Twitter), and Coastalwatch.com, Flipdog.com (acquired by Monster International NYC). 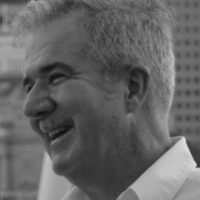 David is our Asia-based Principal Consultant with broad experience with companies like Qantas Airways, AOL Time Warner, NTT/AOL in Japan, Kaplan Education Australia, St John Ambulance Australia. He has been responsible for commercial automation/distribution solutions and systems for global corporations, electronic and physical distribution of information and products along with the development of high performing customer service and operations environments. David has extensive experience in doing business throughout Asia and Australia. A human-centred designer, Jakkii has extensive experience in the digital workplace, with particular focus on user experience research and design, community management, customer engagement, and technology solutions. Skilled in design thinking, she has a particular interest in collaboration and engagement, and in ensuring a user-focus in the digital workplace and online communities more broadly. 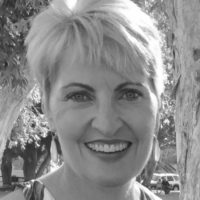 Jakkii’s professional experience includes organisations such as Australia Post, nbn, Cochlear, Foxtel, RACP, RACGP, Scentre Group and DIBP, alongside other organisations across a broad variety of industries in the public and private sectors, ranging from blue chip multinationals to SMBs. Much of her work focuses on providing strategic direction and advice on the digital workplace, community management and engagement, conducting user research and landscape assessments to underpin recommendations, and developing user experience artefacts such as authentic personas and user journeys. 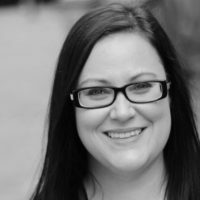 She also holds an interest in social learning, and has worked with clients such as IECL and Suncorp on social learning projects. 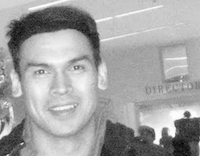 Prior to joining Ripple Effect Group, Jakkii worked as a community manager in both internal and external communities, providing strategic direction for community growth and engagement in employee, fan, and customer communities at government, blue chip and startup organisations in both Australia and Canada. An experienced speaker and facilitator, Jakkii has presented at a number of conferences including Swarm, Enterprise Collaboration TechFest, and Future of Work. She has presented at the University of Melbourne, and at a number of organisations’ staff development days – including BT Financial and 12WBT – on topics such as community management, Yammer, and personal branding. She also writes on a range of topics for the Ripple Effect Group blog, and has been published on Working Out Loud in the Australian Institute of Training and Development’s magazine. Working for various companies including large public corporates, small private businesses and a tech startup, Helen brings to Ripple Effect Group extensive experience in the areas of customer support and account management. Helen is focused on understanding her customer’s needs and supporting them to achieve their business objectives. 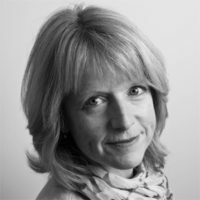 Helen’s experience includes working with customers to develop project business requirements, overseeing software implementations, facilitating product adoption, providing production support and conducting operational review with customers, with a particular specialty in airlines and airline technology companies. Her professional experience includes Qantas, Virgin Australia, Jetstar, Air New Zealand, Cathay Pacific, Air Tahiti Nui and Air China. Helen holds a Bachelor of Communication and Public Relations from University of Canberra. Natalie plays a dual role as both a consultant and as a researcher. In 2016, Natalie was awarded the Ripple Effect Group and The University of Sydney Business School joint PhD Scholarship. Based in the discipline of Information Systems, Natalie’s research interest lies at the intersection between employees and technology; digital and otherwise. Her PhD thesis is exploring the juxtaposition of two practices, that of client and consultant, as the two work together to design digital workplace solutions. Natalie has done similar academic research in the past, as her 2015 Master’s thesis from the University of Melbourne explored how Yammer, as an enterprise social networking platform, is changing workplace communication. 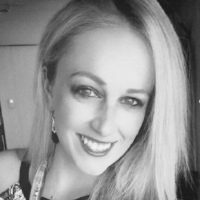 Natalie also holds a Bachelor of Communication (Honours) and a Bachelor of Science in Psychology from the University of Canberra, as well as certifications in editing and project management. As a consultant, Natalie’s work has aligned to her research interests, focusing on the human aspects of the design, integration, and ongoing management of enterprise software. This has been in various Government and private sector industries, including the ATO, NBN and local council. 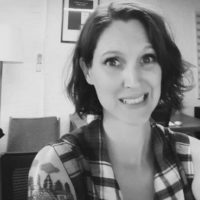 Through her private sector work, Natalie has authored two book chapters with Webtrends, Microsoft’s preferred analytics vendor, and she continues to share her expertise via various freelance writing engagements, teaching, and speaking opportunities. Joel is well versed in the IT and Tech-based spectrum. He has been highly involved with Website Development and Computer Programming since high school. Before starting work with Ripple Effect Group, Joel worked with private clients to develop websites and documentation. Joel also spent some time in the retail environment as a Sales Associate with Optus. This furnished Joel with invaluable skills in customer and client interaction as well as in meeting the needs and providing technical support to a diverse range of customers. Joel holds a Certificate 4 in Website design and Computer programming as well as a Diploma in Website Development. He spends his free time working on developing his own game. Although he probably would have finished it by now, if there weren’t so many other great games to distract him! Emilio has focused on social media and digital marketing over the last five years, with a combined marketing, communications and PR experience of over a decade in Australia covering digital and traditional channels gained from both agency and client side. Before joining Ripple Effect, Emilio had a stint as the Community Manager at the Sydney branch of leading word-of-mouth (WOM) marketing agency 1000heads, where he managed the social media presences of Optus Business and BUPA Australia. He was also Senior Account Manager at agency Ogilvy & Mather Sydney, where he managed integrated marketing campaigns for Australia’s leading corporates such as Commonwealth Bank, Holden, Australia Post, Disney, Telstra and Lebara. Emilio possesses strong copywriting, project/ campaign management and research skills, and has extensive marketing, communication and PR training, as well as media and industry contacts. He holds a postgraduate degree in Communication and Media from the University of Sydney. Nicole has spent the last decade specialising in online instructional design within the corporate environment. She believes that the path to more meaningful online learning experiences lies in the social interactions between colleagues – irrespective of location. Nicole’s approach involves integrating traditional asynchronous online learning – which can be quite isolating on its own, with online social elements to create a more authentic learning experience. Nicole has a Bachelor of Psychology from UWS and Master of Arts (eLearning) from UTS. She has worked with a diverse range of corporate organisations including Digital Chameleon, IBM, Sanofi, Bankwest, Wesfarmers, Rio Tinto, PWCS, Toyota, ANZ, St. George Bank, RBA, and Allianz. 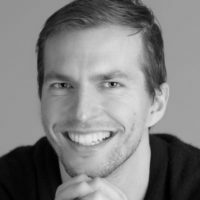 Christoph has a background in knowledge management and employee collaboration, and is founder and director of thinknext – a next-generation management consultancy based in Europe. He works closely with business leaders to assess the potential of social and mobile technology across their entire organisation or particular departments. Christoph drives business and technology innovation by researching, identifying, piloting and implementing the right solutions. To ensure sustainable success, he champions a user-centric change management approach that focuses on people, processes and technology. Christoph studied International Information Management in Germany, which allowed him to combine his passion for intercultural communication, knowledge management and human-computer interaction. 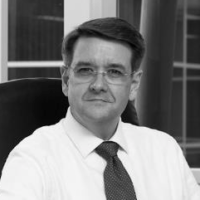 His professional experience includes PwC, Reynolds Porter Chamberlain LLP, Vodafone, Bertelsmann Foundation, Coca-Cola, Grant Thornton, Freshfields Bruckhaus Deringer LLP, Orrick, Herrington & Sutcliffe LLP, Allianz. The modern workplace would not be complete without the presence of digital well-being consultants. At the Ripple Effect Group, we have 2 consultants who specialists in this role. Whoopi, (on the right) is the ultimate zen-master – her calm, tranquil nature has an effect on those around her. While Sansa, Whoopi’s niece and apprentice zen-master, adds a level of exuberance that includes yoga poses (upside down dog) and take-away coffee cups. Whoopi has juggled several roles over her time with Ripple Effect Group including head of meet and greet, head of security and chief well-being officer. A commonly accepted reference to taking a “Whoopi Break” requires her to support anyone who may require her compassion during busy or stressful times. 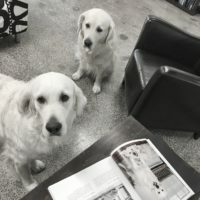 The Girls were featured in a recent publication on dogs at work – they are seen here reviewing their double page spread. Whoopi is also an occasional contributor to our Friday Fave blog posts and adds a four-legged perspective to digital initiatives.